​You can find out the cost of installing a resin drive here by answering a few questions. 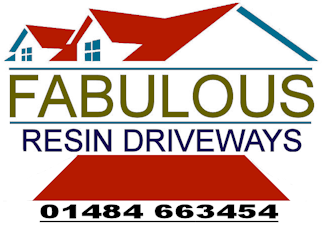 As a local company we are able to offer competitive prices on Resin, Concrete, Tarmac and Block paving driveway projects in the following Halifax areas; Halifax Town Centre, Savile Park, Highroad Well, Illingworth, Luddenden, Luddenden Foot, Midgley, Mixenden, Mount Tabor, Norton, Tower, Ogden, Wainstalls, Warley Town, Boothtown, Hipperholme, Lightcliffe, Norwood. Green, Northowram, Ovenden, Shelf, Skircoat Green, Southowram, Barkisland, Greetland, Holywell Green, Sowood, Stainland, West Vale, Elland, Blackley, Norland, Ripponden, Rishworth, Sowerby, Sowerby Bridge, Cragg Vale, Hebden Bridge, Heptonstall, Mytholmroyd, Old Town.